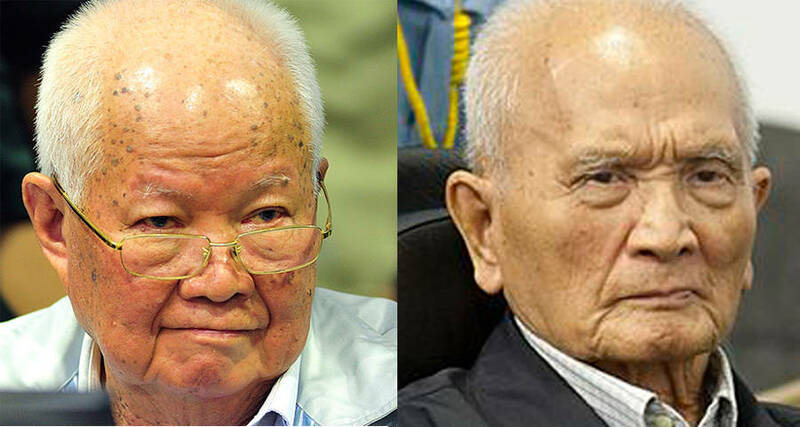 Pol Pot’s head of state Khieu Samphan (left) and his deputy Nuon Chea have been sentenced to life imprisonment for their crimes against humanity during the Khmer Rouge genocide. Four decades after Cambodian dictator Pol Pot and his Khmer Rouge regime orchestrated the deaths of at least 1.6 million of their own people, the country is finally gaining some small new semblance of closure. A United Nations-backed tribunal called the Extraordinary Chambers in the Courts of Cambodia has officially ruled the atrocities a genocide. Those atrocities began in 1975, after Pol Pot and his communist forces took over Cambodia, dubbed it “year zero,” and reverted the country to a classless agrarian society. From there, the Khmer Rouge forces set their sights on all perceived enemies of their new state: anti-communists, intellectuals, Vietnamese, Chinese, Cham Muslims, Buddhists, and any and all groups that might oppose their radical new vision. Many of these people were sent to prisons and forced labor camps while many more were simply killed. All in all, somewhere between 1.7 and 2.5 million people (as much as one-quarter of the country’s total population) were killed between 1975 and 1979, when the Vietnamese invasion of the country put an end to the Khmer Rouge’s rule and to the Cambodian genocide. Cambodian soldiers who fought against the Khmer Rouge in the Olympic Stadium, the place the Khmer Rouge used for their executions. Phnom Penh. 1975. The UN Convention on Genocide maintains that “genocide” involves an “intent to destroy, in whole or in part, a national, ethnic, racial or religious group,” and the tribunal was able to prove that this was the case in Cambodia, particularly when it comes to the slaughter of the Vietnamese and Cham Muslims. The men oversaw such tortures as forced labor under threat of death, suffocation by plastic bags, and the extraction of toenails and fingernails. In other instances, Muslims were forced to eat pork and ex-government workers were killed by electrocution with telephone cables. The tribunal has had to organize hundreds of thousands of documents and speak with hundreds of witnesses in order to build their case against the Khmer Rouge. These efforts have cost more than $300 million and have seen the arrest of five top Khmer Rouge leaders. Prime Minister Hun Sen of Cambodia, consequently, would like the tribunal to cease its efforts. 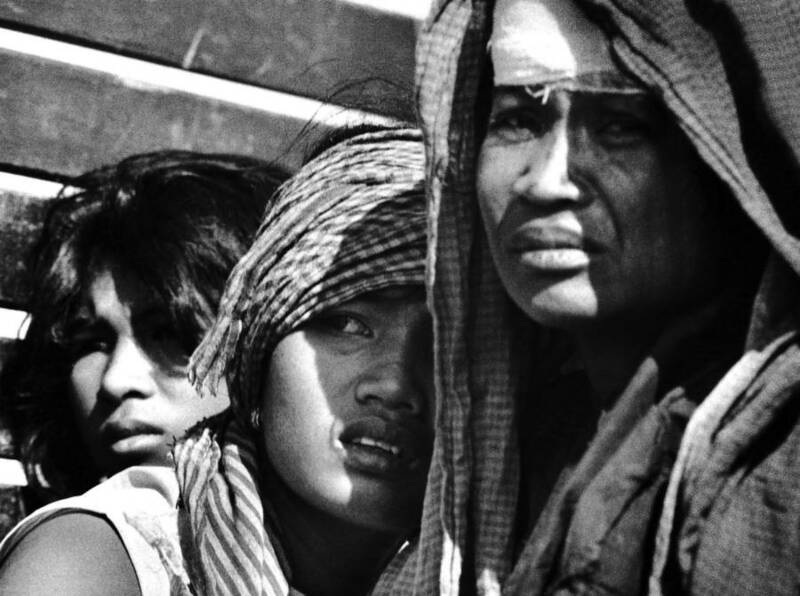 A group of Cambodian women huddle together during the Khmer Rouge’s reign. 1975. Whether the efforts continue or not, others have voiced their opposition the prime minister’s wishes — even while recognizing that the tribunal could never fully bring closure in the wake of such horrors.